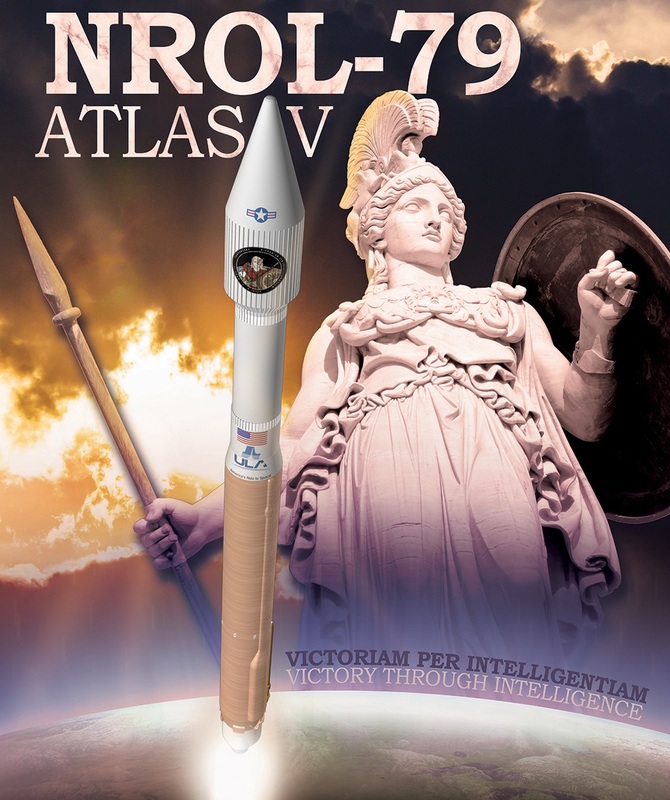 Satellite trackers successfully pin-pointed the classified NROL-79 payload dispatched to orbit this week by an Atlas V rocket, confirming its identity as a pair of NOSS spacecraft tasked with tracking foreign ships and aircraft on a global scale, delivering critical information for general awareness and tactical military planning. The identity of NROL-79 was known beyond any reasonable doubt before Atlas V took flight from California through clues in the mission’s launch vehicle configuration, launch site and most importantly the characteristic ascent path into the 63.4-degree Low Earth Orbit employed by the Naval Ocean Surveillance Satellite Program (NOSS). The timing of the mission also matched the ten-year replacement cadence of the third generation of NOSS spacecraft observed over the past several National Reconnaissance Office missions identified as NOSS. Atlas V blasted off from SLC-3E at Vandenberg Air Force Base at 17:49:51 UTC on Wednesday, powering into clear skies with its Russian-built RD-180 engine that fired for just over four minutes before the trusted Centaur Upper Stage took over. The 70th Atlas V mission headed into the usual news blackout at the moment of payload fairing jettison at T+4.5 minutes to allow the NROL-79 payload to reach its classified orbit without the public watching. However, based on previous NOSS missions, satellite trackers developed search parameters to look for NROL-79 in the anticipated injection orbit of 1,000 by 1,200 Kilometers. Per the expected flight profile, Centaur was to complete a lengthy burn of its RL-10 engine to achieve an elliptical parking orbit ahead of coasting for half a lap around Earth to fire up again at the high point of the orbit and bring up the perigee to match the desired injection altitude. Spacecraft separation was to follow swiftly thereafter. The newly launched NOSS twins barely finished their first orbit around Earth when satellite tracker Scott Tilley, based in British Columbia, captured radio signals from the satellites – confirming their identity under two hours into the mission. 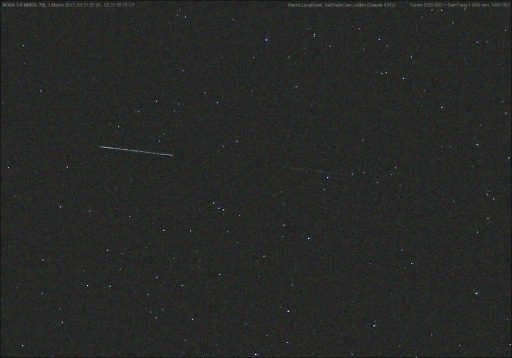 With the satellites confirmed near the expected orbit, a worldwide network of satellite trackers sprung into action to visually observe the spacecraft and collect a set of observations for precise orbital determination. 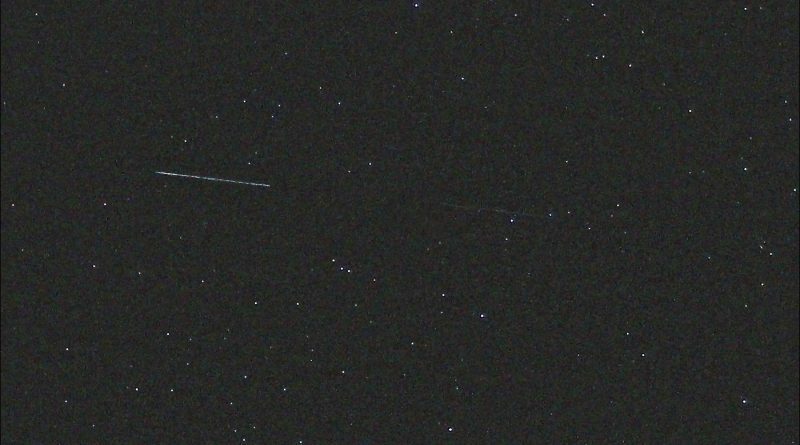 Visual observations were reported from France, Scotland, Australia, and the Netherlands and confirmed that two objects were visible in close formation, as can be expected for a NOSS pair. 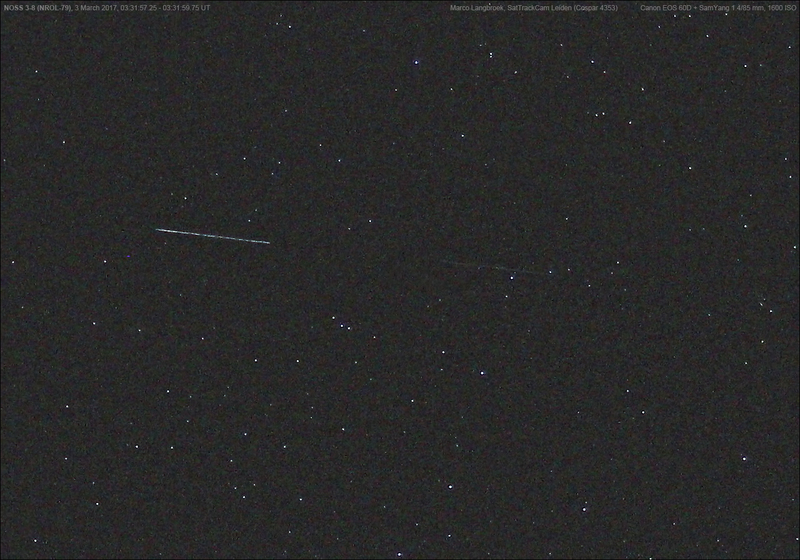 Updated orbital data shows the two satellites orbiting at 1,010 by 1,204 Kilometers, inclined 63.46° with a separation of 45 Kilometers between the two, according to satellite tracker Dr. Marco Langbroek who shared photos of the two objects passing over the Netherlands with the trailing object considerably brighter than the leading satellite. Over the coming weeks and months, the two satellites will undergo commissioning tasks and enter a precise formation that will be maintained over their 8+-year mission. Orbital fine-tuning will be performed over the next several days, but large maneuvers are unlikely given the near-perfect injection provided by the Atlas V launch vehicle. The satellites will also get brighter as they deploy their appendages such as solar arrays and radio intercept gear. The satellites typically enter service around half a year after launch which will be indicated by the NOSS pair they replace drifting out of formation at the end of its mission. 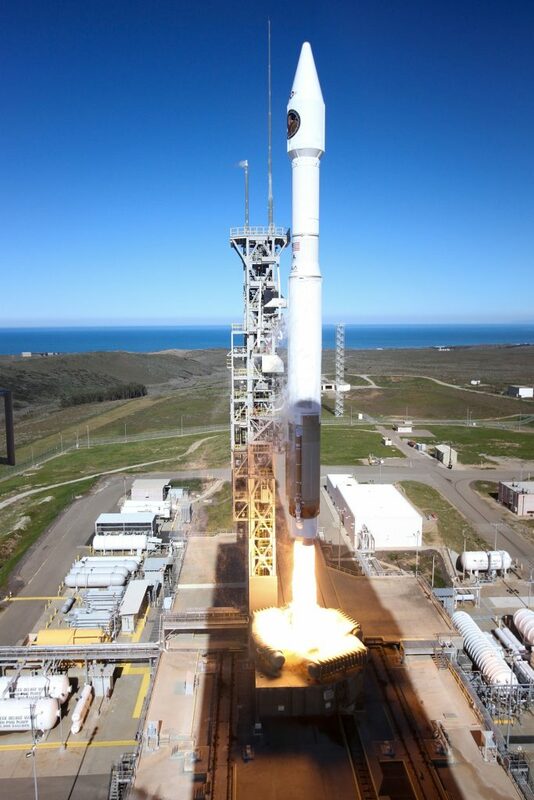 NOSS 3-8 is likely the replacement for the NOSS 3-4 pair launched by an Atlas V in June 2007 and delivered to an off-nominal orbit that required the satellites to complete dozens of maneuvers to achieve a compliant orbit and begin their mission in early 2008. As a classified program under operation by the U.S. National Reconnaissance Office, not much is known about the NOSS duos except their purpose. Flying under the codename ‘Intruder’ the satellites are manufactured by Lockheed Martin and each pair has a reported launch mass of around six and a half metric tons. NOSS pairs pin-point the position of foreign ships and aircraft by analyzing the delay in the arrival of the vessel’s radio signals at each of the satellites – explaining why a precisely known formation is required by the members of each pair. NOSS started out as a program in the 1970s with the first satellites, back then flying in a triplet formation, reaching orbit in 1976. First generation satellites were launched until 1987 before the second generation took over, being deployed until 1996. With the introduction of the third generation came a reduction of the triplets to pairs of satellites. It is suspected that the satellites use external panels to modify their ballistic coefficient for stationkeeping maneuvers with their counterpart. Over their operational lives, the satellites’ orbit undergoes a natural progression caused by Earth’s gravitational field that will force an increase in orbital eccentricity. By selecting the proper starting conditions in terms of altitude and argument of perigee, the NOSS pairs can be kept within 100 Kilometers of their operational orbit at 1,100km for eight years without the need for maneuvering which could disrupt the precise formation of the duos.